In today’s world it’s very easy to get stressed out, so it’s important that you take some time out for yourself – finding ways to unwind is more important than ever for your own wellbeing. If you don’t yet have a hobby or a pastime in place that helps you relax, have a look at our top 5 ideas for inspiration. Gardening is a great pastime, particularly in the warmer weather. It will get you some fresh air and get you in touch with nature, which has in itself been proven to lower stress levels. There is lots to learn with gardening – and there are different challenges associated with different seasons – so it’s not something you’ll get bored of quickly. It’s also a great joy to see your garden come to life after you’ve put in a lot of hard work. If gardening develops into a passion you’ll find there’s a community of likeminded people and you could end up signing up to ‘open garden’ events… But lets settle for pulling out a few weeds first, shall we? Yoga is renowned for being a great stress reliever. It allows you to gain focus and clear your mind. A lot of people think that you need to be athletic to be able to do the sometimes impressive and even daunting poses. But actually a lot of it is about mindset. Yoga is one of the only exercises that will leave you feeling more refreshed after a session than before you began. There are some great DVD’s and YouTube videos to get you started – and there is bound to be a local yoga class for you to get involved in, find one here. A little different to yoga, bingo is a sociable pastime whether you are at a land-based bingo hall or enjoying a game online. Whether it’s in a chat room or in person – it allows you to have a natter with like-minded people whilst enjoying the bingo and playing some slot games on the side. 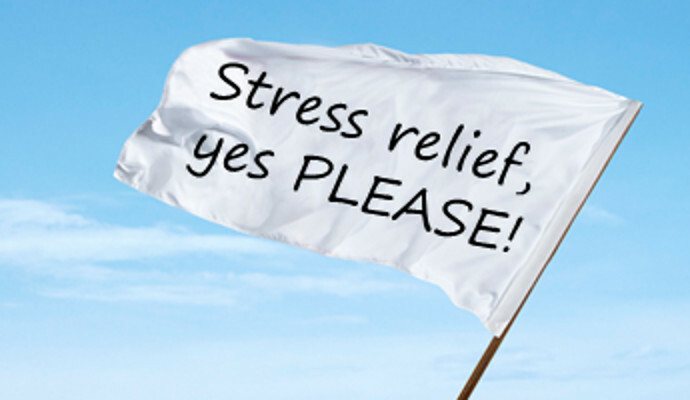 Throw in the possibility of winning a nice little sum – and it’s a great stress reliever. It also can be an inexpensive pastime – there are lots of free bingo sites out there where you can play the game without having to spend a lot of money. Just don’t spend more than you can afford to lose, this is gambling after all! Music can evoke emotions in people, so if you are feeling stressed, choosing the right music can leave you feeling much more relaxed. It doesn’t even need to be music per say, it can be calming sound effects. There are some great apps out there that are designed to relieve stress and make you feel more refreshed. Sometimes there’s nothing better than chilling out with a good book. Before you know it, you’re half a book in and you’ve forgotten about every day stresses and strains. You can enjoy some escapism with some fiction – or you could even immerse yourself in someone else’s life with autobiographies. Creating some “me time” is essential for your own wellbeing and peace of mind. Make sure that you set some time aside for yourself and find an activity for you that relaxes you and relieves stress.